We’ve all been told never take medication with alcohol. Well you can add grapefruit to that if you take any of these 85 different drugs. Grapefruit has compounds furanocoumarins that can keep drugs from breaking down, keeping more of these drugs inside your body, allowing them to build up to lethal levels or toxic levels. 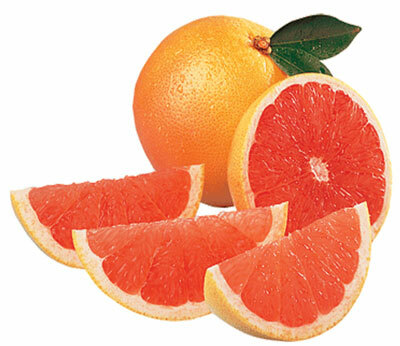 Below is a link to the drugs that have fatal side effects with grapefruit. And as a fair warning, the report by Canadian Medical Association Journal shows that not many doctors know about these dangerous combonations. All the drugs mentioned in the list are oral drugs. Pills developed in labs aren’t the only things we consume that give us strange side effects. As Leo Barnett, 3, of the UK already knows, you can turn orange from eating carrots. It’s called hyper-beta carotenemia. A rare condition where the patient can’t digest carotene. Which is found in most fruits and vegetables. There’s also been reports of people without hyper-beta carotenemia that after they’ve consumed a large quanitity of carrots over the course of a few weeks, start turning orange, much like a carrot.